The images of Cuneiform found on this page are from several old history books that are in the public domain. 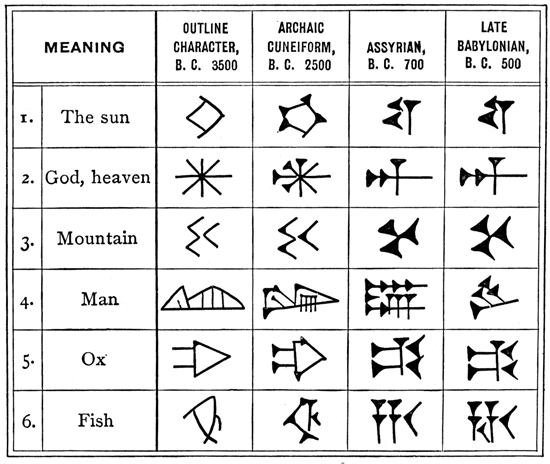 I hope you enjoy these examples of Cuneiform as much as I do. Make art! Want to be notified when more images of Cuneiform are added to Karen's Whimsy?